Redwell wrote this 13-page document after interviewing a Verisae subject-matter expert and doing online research. The marketing goals were to provide "lead bait" on the Verisae website, to demonstrate Verisae's expertise, and to provide genuinely useful and helpful information for Verisae's primary target audience. Verisae edited, designed, and produced the piece in house, showing it's possible to do effective content marketing on a low budget. Sometimes "good enough" is good enough. 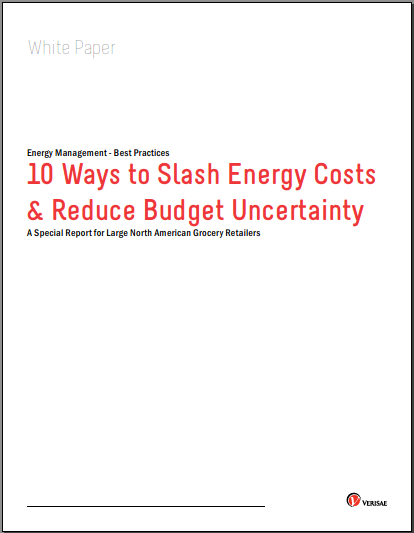 Frames the importance of managing energy costs in grocery chains. Shows the size of opportunities to save money and increase profit. Presents the range of performance for North American grocers. Suggests 10 practical, specific steps retailers can take to improve their own. “I can’t think of any sales or marketing people I’ve worked with who write as well or communicate better [than Dave]".